This article was originally published on July 1, 2011, in the Shenzhen Daily. NOTE: This article is now, essentially, history. 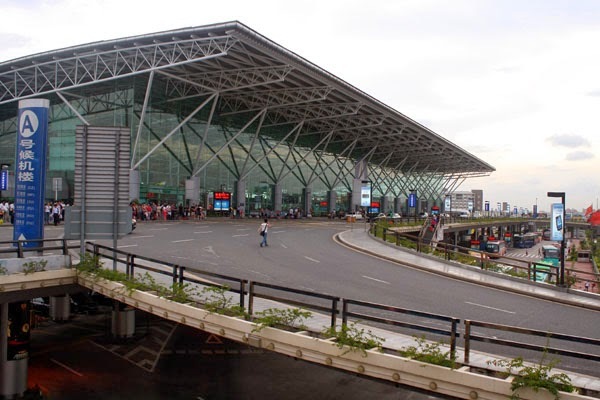 In November of 2013, a new terminal was opened. Passengers arriving by Metro are now required (I'm told) to take a shuttle bus to reach the new terminal. If one rides to Airport East, the shuttle takes about 25-30 minutes; savvy travelers will take the shuttle from Hourai Station, an 8-10 minute ride. Ah, progress. On June 22, once-remote Xili (where I live) became one of the communities served by Metro Line 5, the Huanzhong Line. In honor of this lifestyle-changing event, over the next several weeks I will explore the system and some of its more interesting destinations. 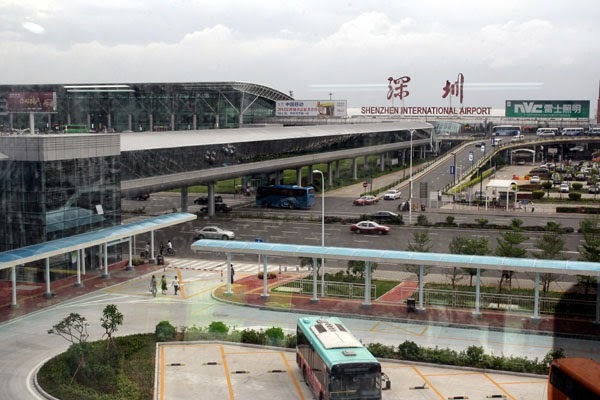 First: Shenzhen Airport, via Lines 5 and 1. In recent days, the Shenzhen Daily has reported a few problems with the newest lines and extensions. However, like the overwhelming majority of passengers, my rides and transfers went smoothly, and the new train cars were a delight to ride in. I transferred from Line 5 to Line 1 at Bao'an Center. I found the signage clear, and I had no problem moving quickly from one train to another. The train emerges from underground between Gushu and Hourui Stations. Thus, the "Airport East" Station is elevated; again, I had no problem finding the enclosed pedestrian bridge that leads from the station to the airport. The walk is not too far (I was thinking of someone who might be carrying luggage), about 300 meters (nearly 1000 feet) between the buildings. There are moving sidewalks to help, and escalators to provide access where the bridge meets the sidewalks in front of the terminals. 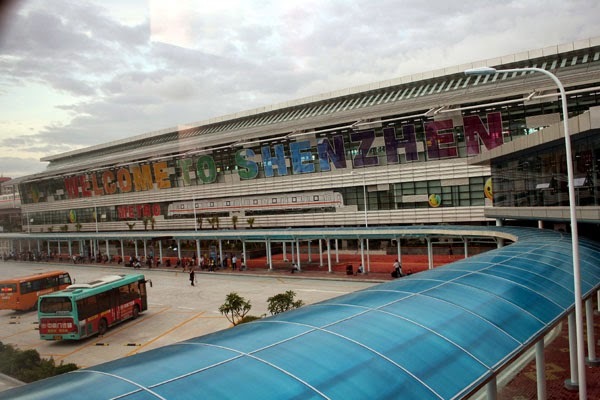 Shenzhen Airport has two departure halls, designated "A" and "B." The pedestrian bridge enters the building exactly between the two. 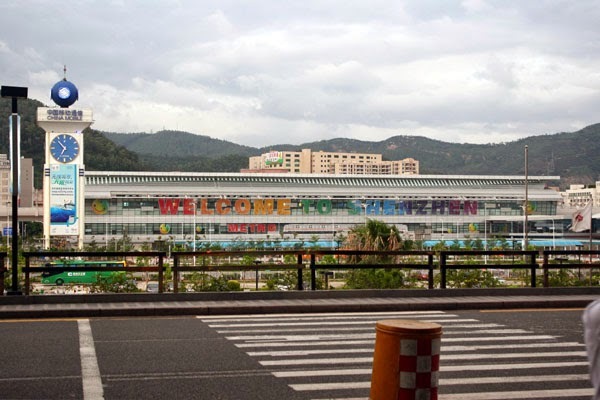 Each hall has restaurants (including KFC, McDonalds, and Starbucks) and plenty of shopping. Overall, my experience in taking the Metro to the airport has me looking forward to the next time I fly.